Administrative Law Judge (ALJ), Stella L. Owens-Murrell, Office of Administrative Hearings (OAH), State of California, heard this matter on September 13, 2012, and October 4 through 5, 2012, in Santa Barbara, California. 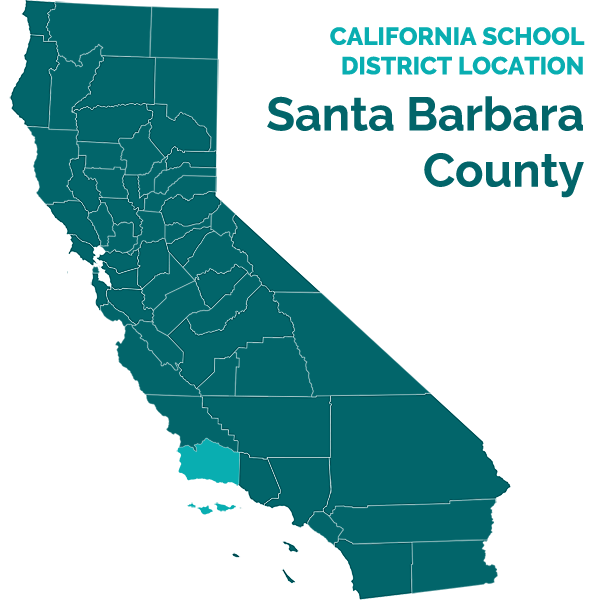 Santa Barbara Unified School District (District) was represented by Attorney Ricardo Silva. Kirsten Escobedo, Director of Special Education was also present each day of the hearing. Student was represented by Attorney Andrea Marcus. Mother was present for the entire hearing. Student was present only to testify as a witness on October 4, 2012. 1 The parties made several motions for sanctions during the course of the hearing. The rulings on the parties’ sanction motions are addressed in a separate order issued concurrently with this decision. District filed a Due Process Hearing Request (complaint) on August 16, 2012. Sworn testimony and documentary evidence were received at the hearing. 1 The parties made oral closing arguments at the conclusion of hearing on October 5, 2012, at which time the record was closed and the matter was submitted. Was the District’s speech and language assessment of Student appropriate such that District need not provide Student with an independent educational evaluation (IEE) at public expense? 1. Student was 18 years of age at the time of the hearing. At all relevant times he lived with his mother within the jurisdictional boundaries of the District. He has transferred his right to make decisions concerning his education to Mother. He attends Santa Barbara High School (SBHS) and was in the 12th grade at the time of the assessment at issue. District determined Student to be ineligible for special education services. 2. Student attended school in the District since Kindergarten. He was diagnosed with Attention Deficit Hyperactivity Disorder (ADHD) in the sixth grade because he exhibited impulsivity, and had trouble focusing and keeping still in class. District evaluated Student in 2006 and found him ineligible for special education services. However, District established a 504 Accommodation Plan (504 plan) for Student. 2 The 504 plan included seating accommodations, modifications such as checking for understanding, extra time to complete assignments, reduced homework assignments, and a reward system for completion of schoolwork and homework. District continued to implement Student’s 504 plan, through middle school and high school. 3. Student took the California High School Exit Examination (CAHSEE) in 2010. Student achieved a score of 426 on the English Language portion of the examination and was determined to be proficient in literary response, word analysis, writing strategies, reading comprehension and writing conventions. 4. Student was placed on a credit recovery plan his senior year in High School and attended the Schott Center within the District to make up the credits needed for high school graduation. Student received the following grades for the fall semester of the 12th grade: “A” in Advanced Placement (AP) Latin, “A” in Music Appreciation, “C” in Computer Accounting, “C” in Health Science Education, “D-” in English 12, and an “F” in AP Government/Political Science. As of January 2012 Student had a grade point average (GPA) of 1.51. 5. In February 2012 Mother requested District once again, to assess Student for eligibility for special education services. Prompted by Mother’s request, District prepared an Assessment Plan dated February 10, 2012, and sent it to Mother for her review and consent. 6. On February 14, 2012, Student’s Advocate contacted District to confirm receipt of the Assessment Plan. The Advocate notified District of Mother’s additional areas of concern for assessment and requested that the Assessment Plan include empirical testing in the areas of speech and language, particularly social pragmatics, inference, and literary analysis; written expression; social cognition; functional behavior; executive functions; fine and gross motor development; and motor planning. 7. The completed Assessment Plan noted English as Student’s primary language. The Assessment Plan proposed to evaluate Student in the areas of academic achievement, health, intellectual development, language/speech communication development, social/emotional, adaptive physical education (APE), and occupational therapy (OT). Mother consented to the Assessment Plan on February 16, 2012. 8. Elissa Fowler, District’s speech and language pathologist (also referred to below as the evaluator or assessor), conducted a speech and language assessment of Student. Ms. Fowler obtained a master of science degree in communication sciences and disorders/speech-language pathology, a bachelor of science degree in communicative disorders and deaf education, and a bachelor of arts in English, with a minor in Spanish and writing. Ms. Fowler has a California preliminary speechlanguage pathology services credential authorized for services in language, speech and hearing; a temporary state license issued by the Speech-Language Pathology, Audiology and Hearing Aid Dispensers Board, and at the time of the hearing was in the process of completing credits to obtain a permanent license. She also has a Certificate of Clinical Competence (CCC) issued by the American Speech-Language-Hearing Association. Ms. Fowler had been employed with District since August 2011 as a licensed speech and language therapist. She provided speech and language therapy for students in the District K-12; evaluated speech and language in Spanish with the bilingual assessment team; and coordinated services with parents, teachers and other IEP team members. She has conducted more than100 speech and language assessments in English and Spanish and has administered between 300-400 standardized tests. 9. Ms. Fowler was completing her State licensure requirements in speech pathology at the time of the assessment in this case. She was also working in a clinical fellowship program required for her CCC. As a result, she was supervised by Terry Stelzer, District Speech and Language Department Chairperson for the past 16 years, and a licensed Speech and Language Pathologist with over 28 years’ experience. 10. Ms. Fowler administered Student’s assessment on March 9 and 12, 2012. He was 18 years of age at the time of the assessment. She reviewed the District’s records and reports of Student’s prior academic performance and health, and obtained a family and social history. She noted Student had not been previously assessed for speech and language deficits. She reviewed data she requested from Student’s teachers, and reviewed Student’s scores on the California Standards Test (CST) and CAHSEE. She also interviewed Student, observed Student’s social interactions with other students, and observed Student during the administration of the standardized tests. 11. Ms. Fowler selected and administered the following assessment tools: Comprehensive Assessment of Spoken Language (CASL); Clinical Evaluation of Language Fundamentals-Fourth Edition (CELF-4); Test of Pragmatic Language, Second Edition (TOPL-2); Language Sample; and Measure of articulation, fluency, and voice. 12. The CASL is a norm-referenced oral language assessment battery of tests for children and young adults aged three through 21 years. Each of the CASL tests is individually administered and is based upon a well-defined theory of language. The results provide information on oral language skills that children and adolescents need to become literate as well as to succeed in school and the work environment, including the processes of auditory comprehension, oral expression word retrieval, knowledge and use of words, ability to use language for special tasks requiring higher level cognitive functions, and knowledge and use of language in communicative contexts. The age-based norms of the CASL can be used to identify language impairments. 13. Ms. Fowler administered the following sub tests of the CASL: (1) Synonyms-which assesses word knowledge by looking at the student’s ability to identify a synonym of a given word. It is primarily an assessment of knowledge and auditory comprehension of words; (2) Idiomatic Language-which measures the expressive knowledge of idioms or groups of words that have a conventional meaning different from the literal rendering of the individual words; (3) Grammaticality Judgment-which measures a student’s ability to make immediate judgments of the grammaticality of sentences presented to the student and to correct sentences containing grammatical errors; (4) Non-literal Language-which assesses a student’s ability to comprehend the intended meaning of a spoken utterance in cases where the literal meaning does not convey the message. Specifically, this test measures the ability to comprehend language in the form of figurative speech, indirect requests and sarcasm; (5) Meaning from Context-which measures inference ability that does not require use of word knowledge to arrive at the full meaning of the spoken text. This process is also referred to as deduction; (6) Pragmatic Judgment-which assesses a student’s knowledge and appropriate use of social rules of language. This test requires a student to judge the appropriateness of language used in a scenario or use language appropriate to a given scenario. Student’s standard scores were average in all but idiomatic language and pragmatic judgment, which were borderline. 14. The Pragmatic Judgment sub test results in the assessment noted numerous strengths. Student’s weaknesses were noted in the areas of making introductions, inviting others to a function, introducing a younger person to an elder, appropriate statement of a situation, polite interruption of conversation, expressing regret and offering an explanation for poor behavior, appropriate behavior with authority figures, wrong topics, adjusting conversation, and remembering important information. 15. The scores from all of the core subtests in Factual Finding 13, above, were combined to calculate the CASL Score Composite. The Core Composite is a global measure of oral language. Student’s Core Composite score indicated Student’s general oral language ability was average when compared to his same-aged peers and his Core Composite on the CASL did not indicate disordered language performance. 16. Ms. Fowler also administered the Inference Test which assesses the student’s ability to integrate, through inference, appropriate word knowledge with information provided in messages spoken by the examiner in order to comprehend what the sentences mean. This test requires the student to use his/her own background or world knowledge and the linguistic statement to infer the answer. Ms. Fowler testified that this test is outside the norm and could not report a standard score but could only be reported as an age equivalency score. Since Student’s age (18) was outside of the range of the normative sample (up to 17 yrs. and 11 months) she used this test to obtain further qualitative information. She testified that Student’s test age equivalent based upon his raw score was 14 years, and nine months. 17. Student’s knowledge of words was above average, indicating he had a good vocabulary. His ability to identify incorrect sentences and fix grammatical errors, to comprehend non-literal language, and to infer the meaning of new words based upon surrounding context was in the average range. However, Students expressive knowledge of idioms and knowledge of use of the social rules of language were borderline. Based upon the items Student answered correctly and those answered incorrectly on the pragmatic judgment subtest, Ms. Fowler attributed Student’s difficulties in this test to either inexperience in the use of socially appropriate language or an inability to generalize from the world around him the information needed to develop skills for effective social communication. 18. The CELF-4 is a norm-referenced comprehensive test of receptive and expressive language abilities for children between five to 21 years of age. It is designed specifically to assess and identify language skill deficits in children, adolescents, and young adults. 19. The following CELF-4 subtests were administered: (1) Recalling Sentences-involved orally repeating sentences of increasing complexity and length. The subtest challenges attention and immediate recall skills as well as language skills; (2) Formulated sentences-involved verbally producing grammatically correct sentences, when given a specific word to use in a sentence, and an action sentence to describe using the given word; (3) Word Classes, Receptive-involved listening to four verbally presented words, followed by prompting to choose which two of the four words go together best. It measures the ability to perceive relationships and associations between words; (4) Word Classes, Expressive-this subtest is connected with the receptive subtest above. The student is asked to explain why the two chosen words go together, and/or what the words mean; (5) Word Definitions-the student is given a word and a sentence using that word. The student is then asked to verbally define the meaning of the word; and (6) Understanding Spoken Paragraphs-the student listens to three paragraph-length stories, and answers five comprehension questions about each paragraph. Of the six subtests, Student’s scaled scores were within the average range when compared to same-aged peers on five subtests, and the scaled score in Word Definitions was above average. The scores also showed Student’s strength in word definition. 20. The assessment also provided a CELF-4 Core Language Index Score; a measure of general language ability used to make decisions about a student’s overall language performance and to make decisions about the presence or absence of a language disorder. Student achieved a standard score of 108, in the average range. 21. Student’s general language ability was within the average range when compared with same-aged peers and the overall results showed no evidence of a language disorder. 22. The TOPL-2 is a norm-referenced comprehensive measure of pragmatic language ability. Most of the test questions relate to color drawings that present social situations which are evaluated by examinees in formulating their responses. The TOPL-2 can be used to identify individuals with pragmatic language deficits, as well as determine the individual’s strengths and weaknesses. 23. The results of the TOPL-2 showed Student achieved a standard score of 95, in the average range when compared to his same-aged peers. Analysis of the TOPL-2 scores showed he had strengths in the following areas: being aware of what a listener knows, and that he remembers and adjusting his communication accordingly; informing, stating, explaining, describing, and stating an opinion or judgment; understanding a symbolic or abstract message in proverbs or metaphors; and communication breakdown and repair skills. His weaknesses included monitoring, evaluating, and appraising how effective pragmatic language is. 24. To further address the concerns raised by Mother, Ms. Fowler also took a Language Sample. A Language Sample is a transcribed sample of an examinee’s expression that can be analyzed to provide information about his or her communication skills in multiple areas. For this assessment, the evaluator used a conversational sample. Student provided a personal narrative when asked by the evaluator about his hobbies. The topic was skateboarding, and the length of the sample was three minutes and 23 seconds which produced 56 utterances. The language sample analyzed Student’s use of complex syntax, and measured fluency. The analysis overall supported the conclusions of the standardized testing. Student’s grammar, syntax, and pragmatic language skills were determined to be satisfactory. The Language Sample revealed some weaknesses in fluency. However, the assessment noted that while fluency may be an area of relative weakness, overall Student’s fluency was within normal limits and did not appear to negatively impact his communication. 25. The assessment results were summarized in District’s Speech and Language Assessment Report dated March 21, 2012 (Assessment Report), which specifically addressed the borderline scores on the CASL in the areas of Idiomatic Language and Pragmatic Judgment. With respect to the Idiomatic Language portion of the assessment the evaluator opined that Student’s lack of exposure to certain idioms in his language environment likely explained his borderline score. The evaluator further noted that the expressive knowledge of idioms is not considered a strong diagnostic indicator of language impairment. As for the Pragmatic Language portion of the CASL the evaluator noted that the borderline score in this subtest indicated the need for further testing in pragmatics. Accordingly, the TOPL-2 was used to identify and provide further information about Student’s social language functioning. The Assessment Report summary noted that although pragmatic language remained an area of relative weakness, especially when contrasted with his functioning in other areas, overall Student’s pragmatic language ability was within the average range when compared with same-aged peers. Finally, the Assessment Report noted that Student’s conversational language sample supported the conclusions of the standardized testing. Additionally, Student’s performance on the English Language portions of the state assessments further supported the conclusion that he did not currently exhibit signs of speech and language impairment. 26. The assessment findings outlined in the Assessment Report offered recommendations to Student to improve his communications, by methods such as studying introductions and learning how to introduce people who have never met, studying idioms, continue reading, and learning to say pragmatic phrases like “I’m sorry” because apologizing is a socially acceptable way to fix problems between people and to repair relationships. 27. Ms. Fowler testified consistent with her assessment findings, conclusions and recommendations. Based upon the assessment results, review of records, review of teacher comments, and interview and observation of Student, Ms. Fowler concluded that Student did not qualify for special education services under the eligibility category of speech and language impairment (SLI). She interpreted the test results and other data and prepared a report and submitted it to Terri Stelzer for review and approval. She also participated as a District IEP team member and presented the Assessment Report at the IEP team meeting on April 17, 2012. 28. The assessment was administered to Student in English, which was his preferred language. Student understood the questions Ms. Fowler posed to him during the assessment. 29. Terri Stelzer supervised Ms. Fowler for several months for her CCC which she completed in the 2011-2012 school year. In Ms. Stelzer’s opinion, Ms. Fowler was very thorough and exercised good judgment in her work as a speech and language therapist and evaluator. Ms. Stelzer believed Ms. Fowler was qualified to conduct the assessment. Ms. Stelzer was familiar with the test instruments used in Student’s assessment as she had administered over 600 speech and language assessments over the course of her career. She is trained to select appropriate assessment measures and is knowledgeable in best practices and professional standards for speech and language pathologists. She also had extensive training in pragmatic language at University of California Santa Barbara and post-graduate training. She reviewed the speech and language assessment conducted by Ms. Fowler, including the protocols, after which she checked and verified the scores, and reviewed the Assessment Report findings, conclusions and recommendations. She believed the test instruments selected were appropriate and were for the purpose of testing for deficits in pragmatics and language impairment. She testified that the report was comprehensive, accurate, and correct in all aspects and met the legal requirements for a speech and language assessment. She agreed with the findings, conclusions and recommendations and signed the Assessment Report. 30. Both Ms. Fowler and Ms. Stelzer were trained and knowledgeable in the administration of the assessments and test materials. Ms. Fowler was qualified to administer the speech and language assessment to Student. Ms. Fowler’s testimony regarding her administration of the speech and language assessment, the test instruments used, and the findings is entitled to great weight. The Language Sample was administered in accordance with testing guidelines. The discrepancy found in the CASL scores on the Synonyms sub test and Pragmatic Judgment sub test were not clinically significant. Because the CASL showed a weakness in pragmatic judgment she used the TOPL-2 to further assess for pragmatic deficits. She communicated with Mother concerning the scheduling of the assessment and sought to obtain information from Mother about Mother’s concerns. The information was instead provided indirectly by Student’s advocate, such that Ms. Fowler cannot be faulted for any inaccuracy. She selected the instruments to be used based upon the concerns raised by Mother through the advocate. All test instruments were validated and used for the purpose for which they were intended. The test instruments were administered in accordance with publishers’ guidelines and were reviewed for accuracy several times. Finally, the assessment results established that Student did not meet the IDEA criteria under the eligibility category of SLI in the areas of articulation, language, voice, or fluency which would include pragmatics. 31. District convened an IEP team meeting on April 17, 2012, to discuss assessments, including the Assessment Report. Student and Mother attended, with the assistance of Attorney Andrea Marcus, and Advocate Sandy Shove. The District’s team members included Ms. Fowler, Ms. Stelzer and other District employees. The IEP team reviewed and considered the assessment results. The District IEP team members adopted the Assessment Report recommendations and concluded that Student was not eligible for special education services. Mother objected to the Assessment Report findings and recommendations and refused to consent to the IEP. 32. On July 19, 2012 Mother requested an independent educational evaluation (IEE) in the area of speech and language at District expense. 33. District denied Mother’s request for an IEE and filed this due process hearing request on Augus16, 2012. 34. Nancy Bagshaw testified as Student’s expert witness concerning the appropriateness of District’s speech and language assessment. She is a licensed Speech Pathologist in private practice. She has non-public agency (NPA) status in which she provides speech and language services and conducts speech and language assessments. Prior to private practice Ms. Bagshaw was employed as a speech and language pathologist with various school districts where she conducted eligibility assessments, attended IEP meetings and made eligibility recommendations to the IEP team. She has conducted between 500-700 assessments and has specialized in assessing children for pragmatic language disorders. She administered an independent pragmatic language skills clinical evaluation to Student on July 20 and August 15, 2012. The purpose of the assessment was to obtain clinical diagnoses and to determine Student’s social communication skills needs for therapy in a clinical setting. Student was 18 years and eight months of age when she assessed him. 35. Ms. Bagshaw administered two standardized tests and conducted an informal interview. The standardized tests included: (1) The Social Language Development Test-Adolescent-which assessed perspective taking, inferences, problem solving , interpreting social language, and understanding idioms; and (2) The Test of Problem Solving Second Edition-Adolescent (TOPS 2 Adolescent)-a diagnostic test of problem solving and critical thinking for adolescent students. The test assessed a student’s strengths and weaknesses in specific critical thinking skill areas related to situations in and outside the academic setting. Both tests were normed up to age 17 years, 11 months and inappropriate for Student. Student’s age was above the normative sample, which precluded reporting the results in the form of standard and percentile scores. Nevertheless Ms. Bagshaw reported the test results in standard scores and percentile ranks and reported all of the scores were well below his age level. Ms. Bagshaw did not observe Student in his educational setting, or speak with his teachers. Unlike District’s speech and language assessment, she concluded Student had difficulty with all aspects of problem solving, critical thinking, and social communication skills. The informal interview consisted of conversation with Student about his preferred interest of skating. Overall Ms. Bagshaw concluded that Student lacked the appropriate social pragmatic skills necessary for developing and maintaining friendships, and work relationships. She recommended three hours of therapy in social cognition skills by a therapist trained in social cognition and therapy. Among the recommendations in her report Ms. Bagshaw suggested Student improve conversational skills by making introductions and greetings, introducing conversational topics, conversational turn taking, much like the recommendations in District’s speech and language assessment. 36. Ms. Bagshaw testified she assessed Student because she believed he needed to further develop his social and communication skills. She did not assess for purposes of finding him eligible to receive special education services. She also confirmed that she knew the eligibility criteria for SLI and that Student did not meet the criteria. She explained that although she agreed with a number of the recommendations in District’s Assessment Report, the speech and language assessment was not appropriate in her opinion for the following reasons: 1)The use of the CAHSEE as a test instrument was inappropriate because it was of no value when assessing for pragmatic language or any other language disorder; 2) The Language Sample was inadequate because given the CASL test scores showing a weakness in pragmatic judgment because a different, less preferred topic should have been chosen to test Student’s pragmatic language/social skills; 3) The inference subtest on the CASL was not appropriate because it was not a norm-referenced test and the evaluator could only report age equivalency scores; 4) In her opinion, the discrepancy in scoring between the synonyms sub test and pragmatic judgment sub test demonstrated test scatter that should have been followed up with the Social Language Development test to further examine Student’s pragmatic skills; 5) Mother was not interviewed, and generally a parent interview is the best practice; 6) Though she did not use this test instrument in her practice she opined, incorrectly, that the protocol on the TOPL-2 was not properly scored; 7) The assessor failed to use Level4 of the CELF-4 which was calculated to provide more information on pragmatic skills; and 8) The assessor should have used the Test of Problem Solving (TOPS). 37. Ms. Bagshaw’s testimony was not helpful to Student. Based upon her own assessment, her experience in making eligibility determinations, and familiarity with SLI eligibility criteria, Student did not meet the criteria and was not eligible for special education services as a student with SLI in the area of articulation, language, voice, or fluency which would include pragmatics. Further, as set forth in Factual Findings 11 through 30 above, the District assessment appropriately addressed the CAHSEE scores as part of a review of Student’s performance on the relevant state standardized tests; the Language Sample and other subtests on the CASL and CELF-4 were properly administered; all tests were properly selected and scored; there were no significant discrepancies evident in the test results; and Mother’s advocate, with whom District’s evaluator communicated, represented that she spoke for Mother and Student. Thus, despite her criticisms of individual aspects of District’s assessment, her testimony supported the overall conclusions in District’s assessment. Accordingly, Ms. Bagshaw’s testimony did not demonstrate that District’s SLI assessment was inappropriate. 1. District contends that the speech and language assessment conducted on March 9 and 12, 2012, with a written report March 21, 2012, met all of the requirements under the Individuals with Disabilities in Education Act (IDEA) and was appropriate. Student contends that the assessment did not meet the legal requirements and was inappropriate because the assessment did not use test instruments for the primary purpose of assessing Student’s pragmatic language skills and deficits and therefore failed to assess in all areas of suspected disability. Student contends he is entitled to an IEE at District expense. As will be discussed below, District’s assessment met all the legal requirements under the IDEA and was appropriate. Student is not entitled to an IEE funded by District. 9. Here, District’s speech and language assessment conducted by Ms. Fowler met all IDEA criteria and was appropriate. First, the District followed all required procedures prior to the assessment. The evidence established that Mother requested an assessment to determine if Student was speech and language impaired. District prepared an assessment plan which incorporated Mother’s concerns that Student be assessed in the areas of speech and language, particularly social pragmatics, inference, and literary analysis and written expression. Mother reviewed and understood the proposed assessment plan and consented to the assessment plan. 10. The assessment was properly conducted by qualified personnel. Ms. Fowler credibly testified to her expertise in the administration of the assessment. Ms. Stelzer who supervised Ms. Fowler, and reviewed, and approved the assessment corroborated her testimony in this regard. Both Ms. Fowler and Ms. Stelzer were trained and knowledgeable in the administration of the assessment tests. The evidence established that Ms. Fowler used multiple and validated assessment tools, and that the tools selected assessed generally in all areas of suspected disability, which was speech and language, including pragmatics. Specifically she used the CASL to test the areas of Idiomatic Language and Pragmatic Judgment; the CELF-4 to assess Student’s receptive and expressive language abilities; the TOPL-2 was used to identify and provide further information about Student’s social language and pragmatic language functioning; and a Language Sample to obtain information about Student’s communication skills in multiple areas. The assessment was not administered in a discriminatory manner, and was in Student’s principal language, English. Ms. Fowler established that the standardized tests were reliable indicators of Student’s language skills. 11. The testimony of Student’s expert, Ms. Bagshaw, did not demonstrate that the District’s speech and language assessment was inappropriate. She had several years’ experience as a speech and language therapist conducting assessments for various school districts to determine eligibility for special education services. Based upon her own assessment, her experience in making eligibility determinations, and familiarity with the SLI eligibility criteria, Student did not meet the criteria and was not eligible for special education services as a student with SLI in the area of articulation, language, voice, or fluency which would include pragmatics. Furthermore, although she used standardized measures that were inappropriate for Student in her own assessment to reach results that were inconsistent with District’s assessment, she agreed overall with a number of the recommendations made in District’s speech and language assessment as she made similar recommendations in her clinical assessment of Student. Thus, despite her criticisms of individual aspects of District’s assessment, her testimony supported the overall conclusions in District’s assessment. 12. The evidence showed District followed all procedural requirements after the assessment. The assessment results were summarized in the written Assessment Report dated March 21, 2012. The Assessment Report summary found that overall Student’s pragmatic language ability was within the average range when compared with same-aged peers. Finally, the Assessment Report noted that Student’s conversational language sample supported the conclusions of the standardized testing. Additionally, Student’s performance on the English Language portions of the state assessments further supported the conclusion that he did not meet the criteria for special education services under the disability category of speech and language impairment. The findings outlined in the Assessment Report offered recommendations to Student and recommended the IEP team make an eligibility determination based upon the assessment. 13. District convened an IEP team meeting on April 17, 2012, presented the Assessment Report to Mother, and considered and adopted the findings and recommendations of the Assessment Report finding Student was not eligible for special education services. Mother disagreed with the assessment and did not consent to the IEP. 14. Finally, the evidence showed that Mother requested an IEE in speech and language on July 19, 2012. The District timely filed for a due process hearing request to determine the appropriateness of the speech and language assessment report on August 16, 2012. District’s speech and language assessment conducted on March 9 and 13, 2012, with a written report dated March 21, 2012, met all of the requirements under the IDEA and was appropriate. District need not provide Student an IEE at public expense. Education Code section 56507, subdivision (d), requires that this Decision indicate the extent to which each party prevailed on each issue heard and decided in this due process matter. The District prevailed on the sole issue decided.